Apr. 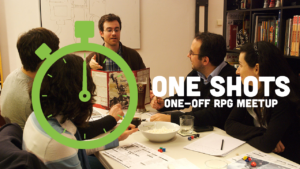 27th: We highlight the wide world of roleplaying beyond D&D with monthly one-shot games highlighting the incredible diversity of genre and mechanics. Everyone is welcome, and new players are strongly encouraged! Apr. 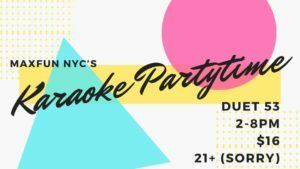 28th: Sing your heart out in a private room with new friends! It's all you can sing from 2:00 pm - 8:00 pm! Come and go as you wish! The High Line, the park created atop abandoned elevated railroad lines, is the single most unique and unforgettable parks in the city. If you haven't been, you're missing out.